We are one of very few companies in Minnesota that can offer our customers and contractors the option of a vertical-drilled loopfield or a horizontal-drilled loopfield. Driven Drilling works in partnership with many experienced geothermal heating contractors all through central Minnesota. Driven Drilling takes care of the outside drilling, trenching, manifolds, and excavation. While the heating contractor takes care of the inside heat pumps, duct work, etc. 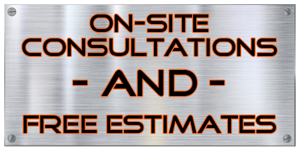 Both companies work together to ensure the best geothermal system for the customer. 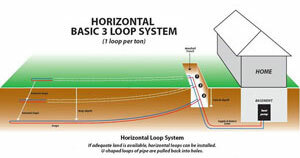 Horizontal drilling will be the most cost efficient option for a drilled loopfield. 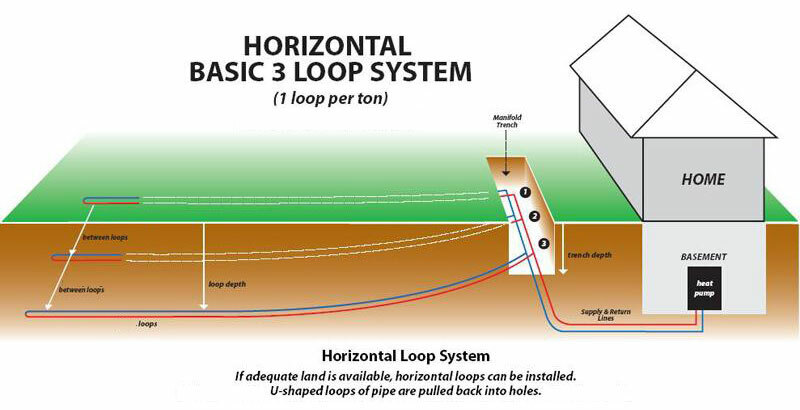 Although horizontal drilling does have some limitations, such as space and soil conditions, these loopfields, when done properly, can save the consumer an adequate amount of money. Vertical drilling is sometimes the only viable option when lot sizes are small or soil conditions make horizontal drilling not practical. 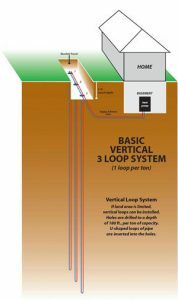 Although vertical drilling is more expensive, it may be the only option to install a loopfield. If there is adequate room for a drill rig to access the property, (sometimes drilling under a driveway) we will be able to install the loops, giving this drilling technique its biggest advantage. Set up a consultation today to see which loopfield will best suit your property.